BRYAN EATON/Staff photo. 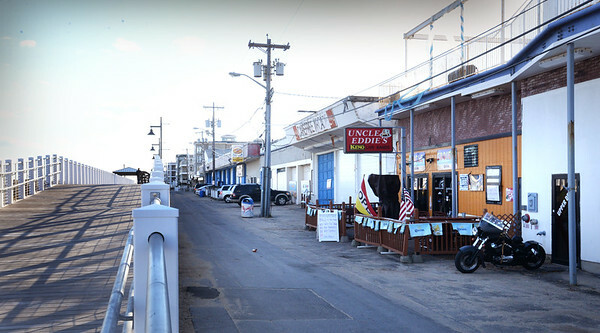 Looking south, the area at Salisbury Beach where a new development is proposed that runs from the Upper Deck, upper left, down to the Dolphin Bar and Grill at Ocean Street. The new boardwalk is at left.